Careers have always been available in The Sims for your Sim’s family to able to make money (without the use of cheats). 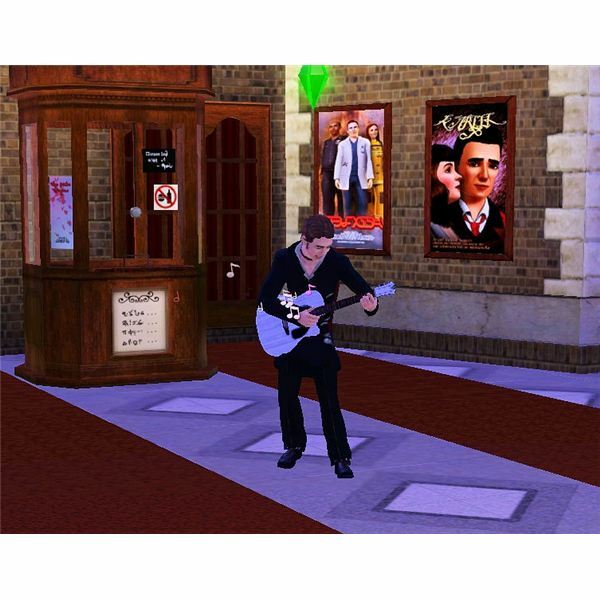 The Sims 3 careers available are some of the main careers as previous versions of The Sims, as well as some new ones. With the basic careers your Sim goes to work and you relax until they collect their money and come home. 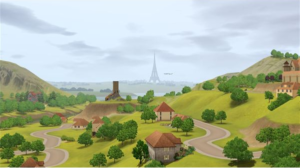 However, with the addition of The Sims 3 Ambitions expansion pack, you are able to take on a profession and actively play that career with your Sim. The architectural design career is a profession available with the Ambitions expansion pack. It really helps to have high artistic and charismatic skill when pursuing this job. Adding custom art to client’s homes with paintings, world adventures relics, photographs or sculptures helps their final score of your job. Your Sim earns money with each job they perform and a weekly stipend. Starting job name is “Fabric Fetcher" which pays $272 stipend per week. Highest job level is “Dictator of Design" which pays $2,480 per week. Sims work in this career path Monday through Friday from 8AM to 6PM. You can however research architectural design at home anytime you wish. To get a job in this career, simply apply at the office building in town. It doesn’t require any additional skills except for being friends with your co-workers and boss. Hours worked in this career vary depending on which level of the career your Sim is at. Sims start out at the “Coffee Courier" level working Monday through Friday from 8AM to 2PM earning $162 per day. Sims that reach the highest level, as a “Power Broker" work only Monday, Tuesday and Thursdays from 8AM to 11AM earning $993 per day. However, the second highest tier as a “Chairman of the Board" earns more, making $1,812 per day working Monday, Tuesday and Thursday from 8AM to 2PM. Sims aspiring for evil like this career path. To join, go the warehouse in town and apply. Sims are required to be athletic in this career in order to excel. There are two different branches in this career: evil and thief. Emperor of Evil is associated with the evil branch, and these Sims sometimes glow red scaring some Sims. This path requires logic and athletics. Emperor of Evil works Monday, Tuesday and Friday from 9PM to 2AM making $2,090 per day. Master Thief is associated with the thief branch, and these get a golden fox which can sometimes boost mood. This path requires only athletics. Master of Thief works Tuesday, Friday, Saturday and Sunday from 9PM to 1AM making $2,260 per day. Sims who love to cook (and eat) enjoy this out of The Sims 3 careers available. This track requires a very high (or mastered) cooking skill. To apply simply pick out a restaurant in town and become a chef. Chefs who reach the top and become a five star chef will receive a master chef fridge. Chefs also can receive free meals at restaurants once they are in the higher levels of the career. Chefs have high success in cooking with life fruit and making ambrosia. Sims starting in this career are first a “Kitchen Scullion" working Sunday, Monday, Tuesday, Friday and Saturday from 3PM to 9PM making $150 per day. “Five Star Chefs" work on Sunday, Friday and Saturday from 3PM to 7PM earning $1,400 per day. 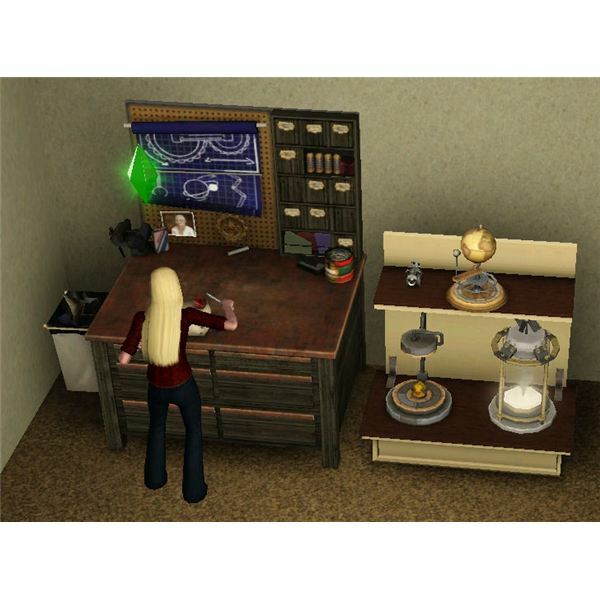 Ghost hunter is a profession introduced in The Sims 3 Ambitions. Aside from being cool because you get to look like a ghost buster collecting ghosts, it is quite profitable when completing jobs and also getting your weekly stipend. To join the ghost hunter career, go to the science lab and apply. Sims start out in this career as a “Tarot Card Reader" with a weekly stipend of $280. The highest is the “Paranormal Expert" which makes $2,480 per week. Sims also make money for each job completed. Ghost hunters work Mondays through Fridays at 5PM to 3AM. The inventor skill and career was introduced with the Ambitions expansion pack. In order to make this your career, go to the government building and apply there as “self-employed" and the game then tracks what you make when you sell inventions as your earnings. Inventors set their own work times, so invent as you wish. Your Sim starts out as an “Electrocution Victim" and selling $30 worth of inventions gives you a higher rank. The highest rank is the “Fourth Dimensional Architect." Journalists need high charisma and writing skills, so if this sounds like something your Sims would like, go ahead and apply at the office building in town. Sims starting out in this field as a “Paper Boy" working Monday through Friday from 8AM to 2PM earning $228 per day. The highest level is a “Star News Anchor" working Monday, Wednesday, Thursday and Friday from 8AM to 12PM earning $1,532 per day. To apply for law enforcement, go to the police station. This career path also has two branches: forensics and special agent. Each of these career paths start out as a “Snitch" working Monday through Friday from 9AM to 3PM earning $240 per day. Dynamic DNA Profiler works Monday, Tuesday, Thursday and Friday from 9AM to 2PM earning $1,985 per day. International Super Spy works Monday, Tuesday, Thursday and Friday from 9AM to 1PM earning $1,908 per day. Sims 3 careers available include Medical. To apply for this, simply go to the hospital in town. This career is highly based on the logic skill and also requires medical journals to be read every day to maintain high job performance. Just as in real life, doctors make a lot of money. However, also as in real life, they may be interrupted at any time for an emergency at the hospital. Sims start this career as an “Organ Donor" working Monday through Friday from 9AM to 3PM, and earn $132 per day. The highest level is a “World Renowned Surgeon" works on Monday, Tuesday, Thursday and Friday from 9AM to 2PM earning $2,400 per day. The military career track is available by applying at the military base in town. This career track does require high levels of athletic and handiness skills. Sims start out as a “Latrine Cleaner" working Monday, Tuesday, Wednesday and Friday from 7AM to 2PM and earn $280 per day. The highest level is becoming an “Astronaut" working only on Monday from 7AM to 1AM earning $6,012 in that single day! The music career path is available at the theater. This career path also branches into two paths: rock and symphonic. High guitar skill is needed for both, and logic is needed for symphonic. All Sims start out as a “Fan" working Monday, Tuesday, Thursday, Friday and Saturday from 3PM to 11PM earning $168 per day. Rock Stars work when they want and hold concerts from 3PM to 11PM and earn thousands of dollars for their concerts. Hit Movie Composers work Monday, Tuesday, Friday and Saturday form 3AM to 6AM making $1,083 per day. Sims wanting to get involved in politics need to apply at City Hall. Sims need high charisma and many friends in order to succeed in this out of the Sims 3 careers. Sims start as a “Podium Polisher" working Monday through Friday from 9AM to 3PM earning $144 per day. The highest level is a “Leader of the Free World" working Monday, Wednesday and Friday from 9AM to 1:30PM earning $1,904 per day. This is another profession available from The Sims 3 Ambitions. To apply, go to the police office. Sims earn money from cases in this path as well as a weekly stipend. It helps to have the perceptive trait as a Private Investigator, high logic skill, computer whiz, high charisma skill and athletic skill. Sims start this profession as an “Eavesdropper" earning $275 per week. Sims at the top level are a “Private Eye" earning $2,475 per week. One of the Sims 3 careers available is to be a Professional Sports player. Perfect for the Sim that loves being athletic and playing in ball games. To join this career, head to the stadium and apply. Sims start out as a “Rabid Fan" working Monday through Thursday and Saturdays from 3PM to 9PM earning $136 per day. The highest level is “Sports Legend" working Monday, Tuesday, Friday and Saturday from 3PM to 8PM and games on Sunday and Wednesday from 3PM to 6PM earning $1,386 per day. To join the Science career, head to the Science lab and apply. It requires high levels of gardening, fishing and handiness. It helps to have the green thumb, handy and angler traits. Sims start out as a “Test Subject" working Monday through Friday from 9AM to 2:30PM earning $242 per day. Sims at the highest level become a “Mad Scientist" working Monday, Tuesday and Friday from 9AM to 1:30PM earning $2,165 per day. 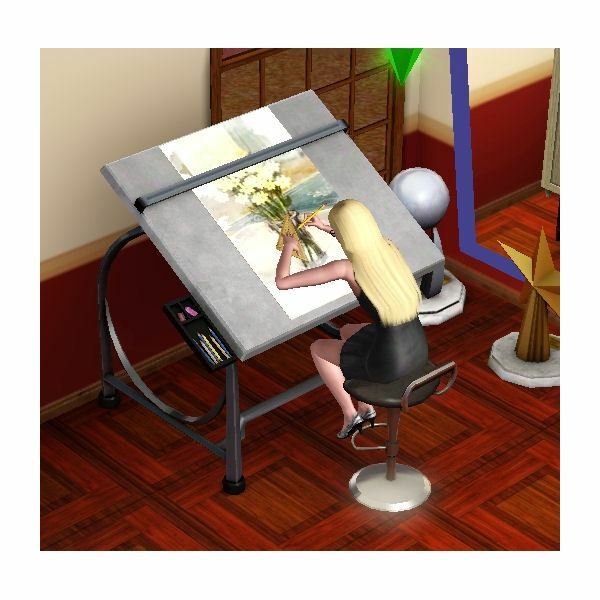 The sculpting skill and sculptor career are both new Sims 3 careers available from The Sims 3 Ambitions. In order to make this your career, go to the government building and apply there as “self-employed" and the game then tracks what you make when you sell sculpture as your earnings. Sims start out as a “Questionable Potter" needing to sell $50 worth of sculptures to advance further. The highest level sculptors are “Master Sculptologists." The Stylist or Fashionista career is a new profession available from the Ambitions expansion pack. To apply for this job, go to the salon and apply. It is also suggested to buy a drafting table to work on raising your skills while at home. 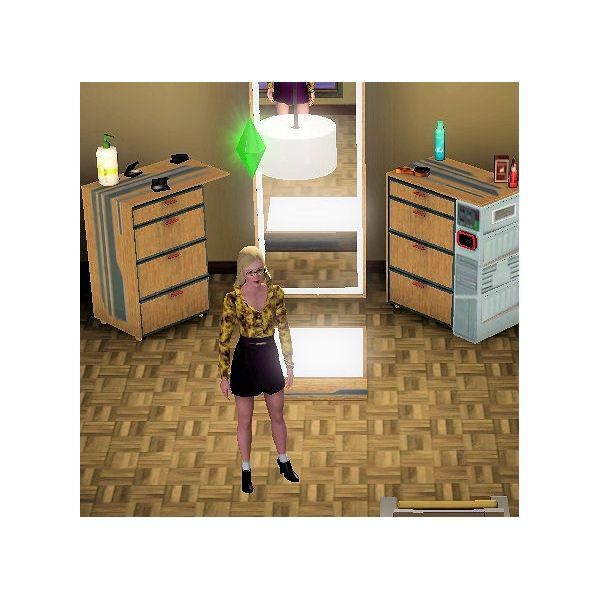 Sims start out as a “Fashion Fledgling" earning a weekly stipend of $182. The highest level become a “Fashion Phenomenon" earning $2,306 per week and have a permanent moodlet of +20 from being Stylin. Stylists have jobs available on Tuesday through Saturday from 9AM to 7PM. One of the new Sims 3 careers from the Ambitions expansion pack is the Education career. To join this career, apply at the school. Sims start this path as a “Playground Monitor" working Monday through Friday from 8AM to 2PM earning $120 per day. The highest level is the “District Superintendent" which works Monday, Tuesday and Thursday from 8AM to 11AM earning $1,623 per day.